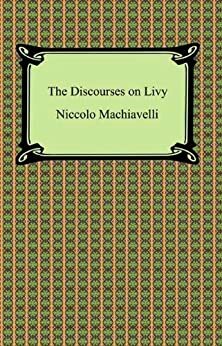 A commentary on Titus Livius's (Livy's) work on Roman History, "The Discourses on Livy" is Niccolo Machiavelli's examination of the structure and benefit of the republic. 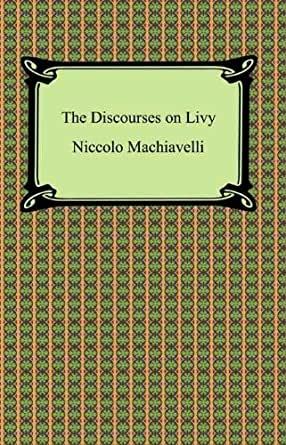 Considered the most important work on the subject of republicanism in the early modern era, "The Discourses on Livy" are comprised of three books. In the first book Machiavelli discusses the internal structure of a republic. In the second book he discusses matters of warfare and in the third his attention is turned to matters of individual leadership. An important work of political history and philosophy, "The Discourses on Livy" are a must read for any student of political science. 5.0 颗星，最多 5 颗星Hooray! Old Government is New Again! For those interested in the development of governments this book is a must read, especially in this election year when forms of government centuries old are treated as new and progressive. Question: Where is education at a time when it is most needed? Also, the age old conflict between Nobles and Common seems very appropriate today! Read the ENTIRE book and see if you agree. I am glad that I had read and re-read Titus Livy before reading this book. Doing so is not an absolute necessity, but I think it helps. This fantastic book reveals how the governments of ancient Rome, renaissance Florence, and, if you will, modern America are confronted with nearly identical problems, and it is also made clear that nobody has worked out solutionw much superior to those embrassed by the leaders of Republican Rome. We would all be better off if our leaders could be required to read this book. In THE PRINCE the author provides a renaissance monarch a survival kit for coping with the problems he would likely face. In the DISCOURSES we are treated to a much broader analysis of a better and more viable system of government which is amazingly similar to what the Founding Fathers of the United States tried to achieve. Alas, as with the Roman Republic, ours has, because of its current massiveness and complexity, appeared to have lost sight of what once made it great. I enjoyed "The Prince so I read this one. I found it fascinating to feel like a spectator of events 500 years past and beyond. Most of the observations and analysis are transferable to present day affairs both on political and I interpersonal levels. Undoubtedly read by Hamilton and Madison but not by the intended audience of his time. This is good stuff, largely unread by the lawyer-politicians who need it. Hundreds of years before John Locke, Machiavelli got most of it ahead of his time. Too bad he was not part of our educations. Machiavelli gets 5 stars and this Kindle edition gets 1 star for an average of 3 stars. The Kindle edition doesn't have a clickable table of contents. So get this book, but not this Kindle edition.